Our corporate office is currently seeking a qualified member to join our team in the accounting department. The position will function as support to accounting by processing invoices and other documents as we receive them. The Food Court is hiring cooks/chefs with some experience to work in the popular place to eat. The Food Court is located on 42nd & Grover and offers a wide variety of tasty dishes ranging from Chinese, Greek, American, and Italian. Paid training is provided on site. ﻿The Food Court is hiring cashiers/bartenders to work in the popular place to eat. 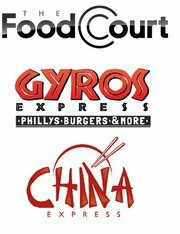 The Food Court is located on 42nd & Grover and offers a wide variety of tasty dishes ranging from Chinese, Greek, American, and Italian. Paid training is provided on site.